* Mariell's breathtaking headband features a side design of shimmering wildflowers. * The Genuine Crystal headband has loops on the ends so it can also be worn as a bridal tiara. 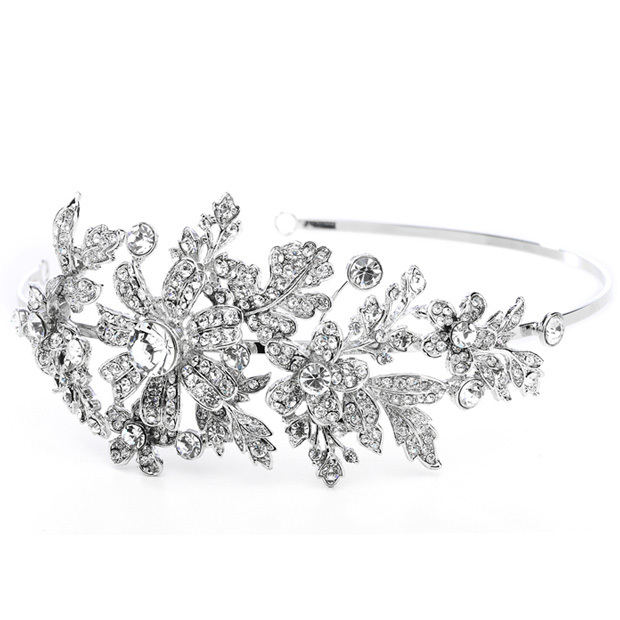 * This stunning wholesale headpiece is plated in antique silver rhodium for a vintage look with up-to-the-minute style! * Our opulent Wedding Headband features a side design of glistening wildflowers 5 1/2" along the band & 2 1/2" w.
* The Crystal headband has loops on the ends to also wear as a Tiara. * Wear this antique silver rhodium headpiece for a chic vintage look!